Most people don’t think of taking their dates to cultural occasions, but if you have already been on a few dates with someone and you’re thinking about getting serious, it’s definitely something worth considering. Not only will you learn more about each other and have fun, but it will lay the foundation for an extremely happy and healthy relationship going forward. Here are a few of the benefits that come along with involving your dates in your culture. Dating is all about bonding with the person you’re with. There is no better way to bond with someone than by partaking in an activity that is close to their heart. 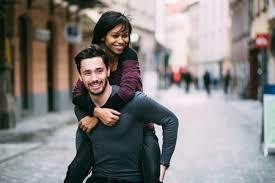 If you show them that you’re interested in their culture and generally interested in learning more about it, they will respect that and your interracial relationship will strengthen tremendously as a result. You could also take your date to a cultural event of your own. Whether this is going to church on a Sunday afternoon or something more personal, it will flatter them that you want to make your culture a part of your relationship. You will learn a lot about your date and your date will learn a lot about you. They might be surprised by the unique traditions you have and you might discover a new favorite type of food when trying something new. The more you learn about each other’s cultures, the less you will experience that awkwardness and feeling of ‘otherness’ between the two of you. Sharing an important cultural event with your partner will draw you closer to each other. Learning and experiencing the heritage and traditions of your partner is a crucial step in maintaining a successful relationship. Putting aside all the good that it will do for your relationship, there are many great things about experiencing cultural activities outside of your own culture. It will be a fun experience that you won’t soon forget. Even if the interracial relationship ends up not working out, you’ll have gained knowledge about another culture and gained a memory for life. All of this makes partaking in a cultural activity outside of your own traditions a great way to spend your free time. Cultural activities are mostly family activities, making this the perfect time to introduce a date to your family. It will be a fun environment and will most definitely feel less awkward than sitting around a dinner table in a quiet restaurant. Make sure to run it by whoever is hosting the event first however. It’s always rude to show up with an uninvited guest and could lead to some unneeded tension in the family. Spending time in a culture will usually disprove any of the negative stereotypes that you may have been led to believe. It’s always a good idea to experience things first hand in order to form your own opinion.